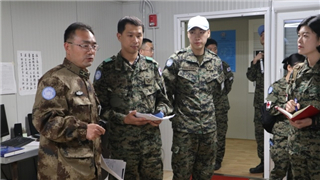 The medical detachment of the 17th Chinese peacekeeping force to Lebanon and the medical detachment of the Republic of Korea's peacekeeping force held discussions along with medical service work based on actual combat needs on Dec. 21. 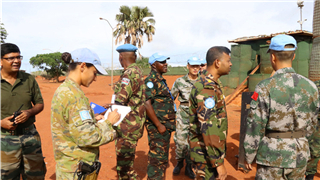 The Sector Juba commander of the United Nations Mission in South Sudan (UNMISS) visited the 5th Chinese peacekeeping infantry battalion to South Sudan (Juba) for the first time on December 19. 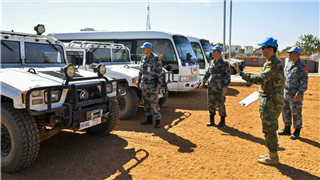 A group of 100 Chinese peacekeepers departed from Beijing Capital International Airport to Darfur, Sudan on Tuesday for a one-year peacekeeping mission. 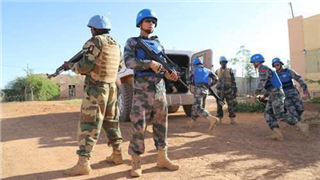 35 peacekeepers of the advance force of the Egypt special operations company were infected with malaria. 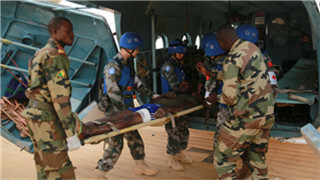 Upon receiving the rescue assignment, the secondary hospital of Chinese peacekeeping force to Congo (DRC) took immediate action. 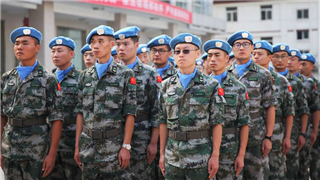 A spokesman for the Chinese military on Thursday said that China's standby peacekeeping force had passed an assessment by the United Nations. 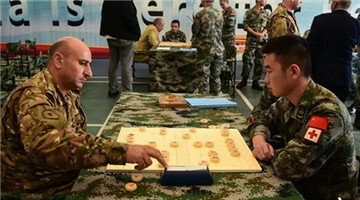 The first “Peace Cup” Chinese chess tournament was jointly hosted by the Chinese peacekeeping troops to Lebanon and the Lebanese Armed Forces on November 25. 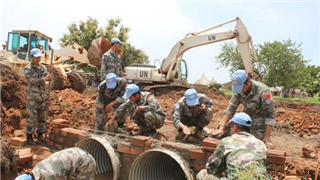 A main supply route project undertaken by the 9th Chinese peacekeeping engineer contingent to South Sudan started construction on November 19, 2018. 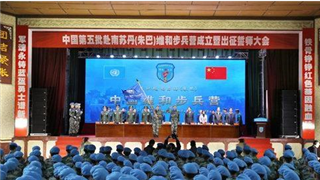 Foreign military attaches from nearly 60 countries have been invited to visit the Ministry of National Defense's peacekeeping center, a military source said Wednesday. 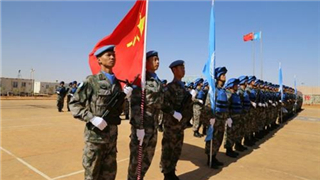 All 225 peacekeepers of the 14th Chinese peacekeeping engineer detachment to Darfur in Sudan were awarded the UN Peace Medals in a medal-awarding ceremony held on Thursday at a Chinese camp in El Fasher, Darfur, Sudan. 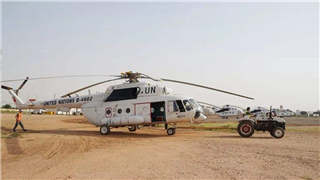 China's second peacekeeping helicopter detachment to Darfur in Sudan passed the fourth-quarter equipment verification organized by the African UNAMID on November 11, local time. 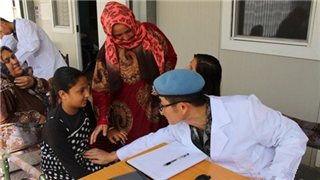 A Chinese medical team working with the Chinese peace-keeping troops at the UNIFIL on Wednesday conducted medical examinations for students of an Orthodox school in southern Lebanon. 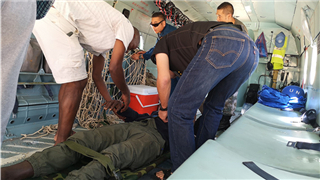 China's peacekeeping helicopter detachment to Darfur in Sudan dispatched one Mi-171 transport helicopter to Taweelah on the morning of October 13for medical evacuation mission. 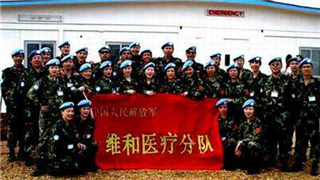 On the eve of the World Mental Health Day 2018, the 22nd Chinese peacekeeping medical detachment to the Democratic Republic of the Congo organized a psychological counseling campaign to offer psychological counseling service to foreign peacekeeping troops to Congo. 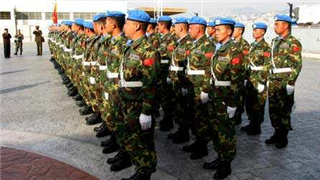 The construction engineer detachment of the 17th Chinese peacekeeping force to Lebanon won the 4th place in an military obstacle challenge held by the UNIFIL on October 8. 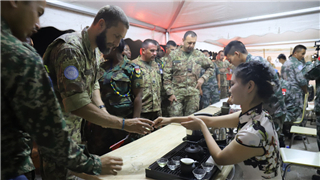 The 17th Chinese peacekeeping force to Lebanon hosted the "China International Night" cultural event at the "Blue Helmet" camp on the evening of October 6, attracting over 800 officials and peacekeepers of the UNIFIL from more than 30 countries. 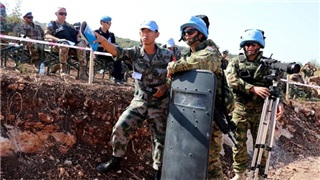 The 17th Chinese peacekeeping force to Lebanon conducted a joint training exercise of mine clearance and explosive ordnance disposal and war case study activity with the peacekeeping forces from Italy, Croatia,and other countries on Sept. 29. 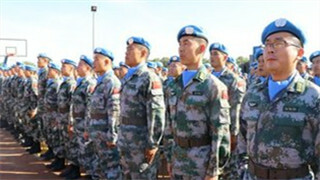 China's second peacekeeping helicopter detachment to Darfur, Sudan dispatched a helicopter to deliver 1.2 tons of supplies to friendly forces on September 24, local time. 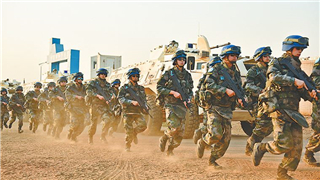 Chinese peacekeepers in Lebanon participated in a joint multinational exercise, code-named “Steel Storm 2018”, held in the town of Naqoura in southern Lebanon on Sept. 20. 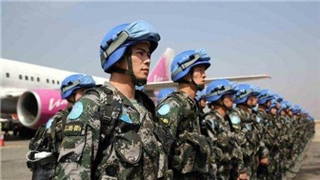 A group of 165 Chinese peacekeepers arrived in the South Sudanese capital, Juba, on Wednesday from Zhengzhou, the capital city of central China's Henan Province. 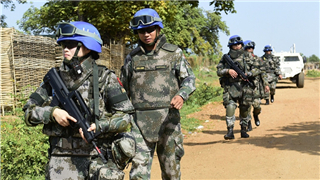 A group of 165 Chinese peacekeepers left Zhengzhou, the capital city of central China's Henan Province, for South Sudan Tuesday on a one-year mission. 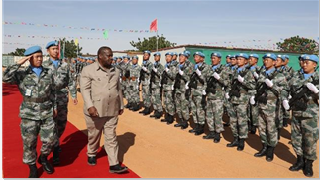 The 11-member security advisory group of UNMISS led by the deputy commander of UNMISS Sector West visited the barracks of the 8th Chinese peacekeeping engineer detachment to South Sudan (Wau) on Tuesday, local time. 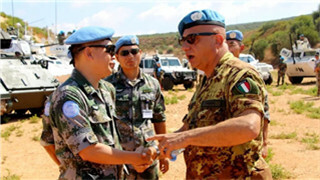 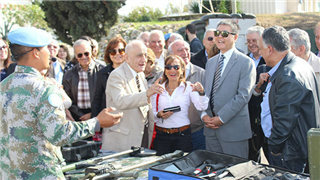 The 17th Chinese peacekeeping force to Lebanon jointly organized the "Peacekeeping Operations Discussion and Traditional Culture Exchange" activities with African friendly armies in UNIFIL on September 3. 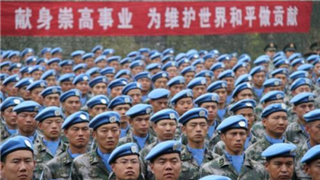 China will dispatch a battalion of 268 peacekeepers to South Sudan for a one-year mission. 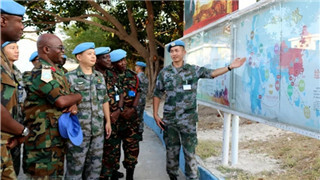 The Chinese military has actively fulfilled its responsibility as a major power, firmly promoted peacekeeping capacity building, and made contributions to maintaining world peace, especially peace in Africa. 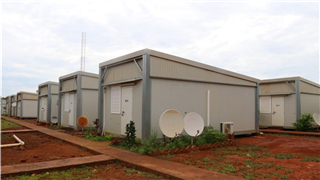 More than 50 new-style prefab houses built by the 8th Chinese peacekeeping engineer detachment to South Sudan (Wau) for the Sector West of the UNMISS were put into use on September 3. 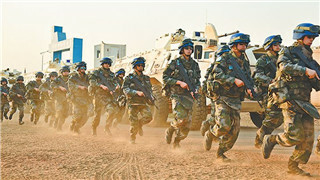 A contingent in Menaka assigned to the 6th Chinese peacekeeping engineer detachment to Mali carried out a joint defense drill with the Nigerien peacekeeping infantry battalion on Aug. 29. 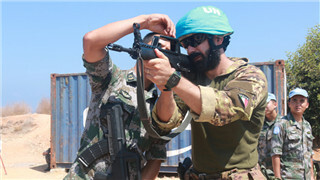 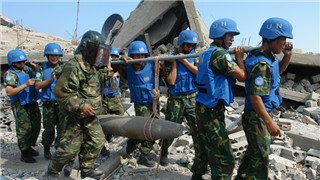 A tactical drill was conducted by participants from the construction engineer detachment of the 17th Chinese peacekeeping force to Lebanon at the shooting range in the headquarters of the UNIFIL on August 27. 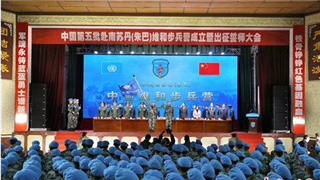 The 17th Chinese peacekeeping contingent to Lebanon opened a Chinese language course recently in the United Nation Interim Force in Lebanon (UNIFIL) headquarters. 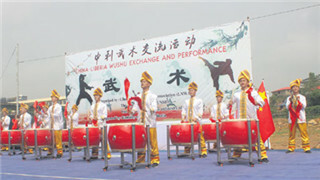 In the era of globalization, international peace and security needs international cooperation and joint efforts from all countries. 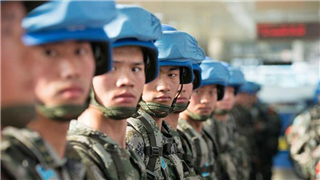 China will continue to play its role and make greater contributions to the UN peacekeeping service. 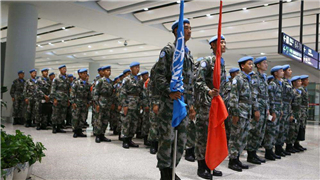 Chinese peacekeepers were a "blessing" for Liberia, helping the country restructure its security architecture and leaving the country in a good position to maintain and improve its security sector, says a Liberian senator. 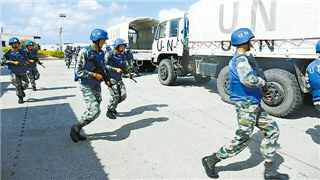 Chinese peacekeepers in Lebanon carried out a free clinic on Sunday, China's first Medical Workers' Day, winning praises from local residents. 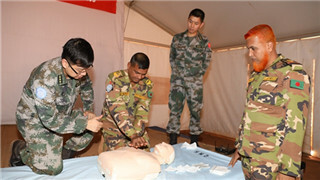 The 8th Chinese peacekeeping medical detachment to South Sudan conducted first-aid skills training for troop-contributing countries (TCCs) in the Sector West of the UNMISS on August 18.